The world of sales is full of dangerous villains – time-consuming administrative tasks, inefficient internal processes, lack of proper tools and resources, etc. – that are weighing your company down. And to top it all off, there is an even greater foe – the leaking of your valuable sales knowledge. Sales Knowledge Management to the rescue! Traditional Knowledge and Content Management systems have one major difference. Content Management is document or file-based, so you’re looking for information within documents or content. Knowledge Management focuses on creating and allowing direct access to snippets of information that are granular in nature. Here is an example to highlight this difference. Say a sales rep is looking for information on how to respond to an objection from a prospect. A Content Management system will point her to a document and a section, which she’ll still have to go into to find the answer she’s looking for. Whereas with a Knowledge Management system, she’d be able to enter that particular question and retrieve answers that other sales reps have successfully used in the past. However, lately I’m starting to see solutions that are trying to be more comprehensive in their features and offer a hybrid of the two systems. Sales Knowledge Management gives your sales team productivity superpowers by enabling them to focus on selling instead of hunting for information. Time Management for Sales study conducted by InsideSales.com Labs shows that sales reps spend 63% of their time on non-revenue generating tasks. For any sales organization, ramp-up time for new team hires is always a big concern. 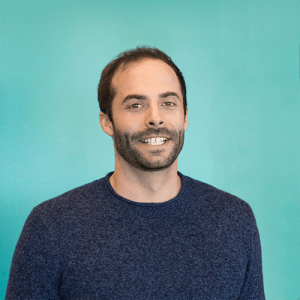 The length of the ramp-up period is influenced by building up the pipeline, average sales cycle, but onboarding and access to the right knowledge is another huge contributing factor. As for the existing team members, they also significantly benefit from brushing up on their skills through ongoing training programs. 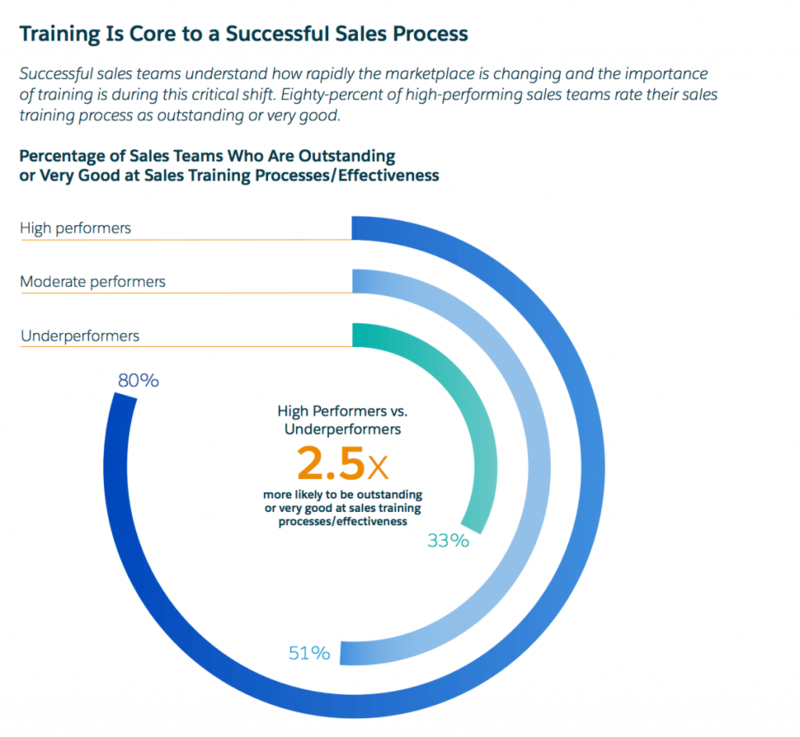 According to Salesforce, effective training is directly tied to sales performance: 80% of high-performing sales teams have the support of very good training processes. A Hubspot survey also shows that salespeople value their peers and managers as an essential source of knowledge. Having a Sales Knowledge Management system allows your entire team – whether they’ve just joined or have been with the company for years – to have access to valuable information that will get them ramped up quickly and effectively and enable them to stay on top of the latest and greatest internal knowledge. One of the most obvious ways you lose valuable sales knowledge is when employees leave your organization. All of their insights, best practices, and lessons learned walk out the door with them. Another significant leak source is the lack of adequate tools to capture and access knowledge. Unless you work at a small company where sharing knowledge across your entire team is a piece of cake, you’ll need to leverage technology to make Sales Knowledge Management happen. It’s pretty much impossible to capture information promptly and make it accessible to a large and geographically dispersed sales team without leveraging the right technology and supporting processes. When companies introduce new solutions, tools, and processes, they can end up sitting idle. It is crucial to drive engagement and adoption of your Sales Knowledge Management software to prevent information from continuing to leak out of your organization. I recommend setting team-oriented goals and openly recognizing sales reps who contribute to team projects. As a sales leader, you should lead by example. Create opportunities for training and sharing your insights with the rest of your team. For example, conduct a team-wide session on how you would carry out a demo. But also let your sales team come up with their own ideas and provide feedback. At Loopio, I host a regular ‘pipe strategy sessions’ where my reps can bring up any particularly challenging situations or objections they come up against. I get the team to brainstorm and share their solutions for how to help move the deal forward. It’s in every rep’s best interest to participate and contribute since the favor will be returned when one of their deals gets stuck. It’s not enough just to have your team share knowledge; you also need to find a way to capture it. Record all training sessions, webinars, emails that your sales team members develop and share the recordings with the entire team. Let’s say a very knowledgeable rep is leaving your company, and you ask him to conduct an in-person training workshop for your team. Merely hosting a workshop is not good enough. Have you heard of the ‘rule of seven’? It goes like this: for your sales reps to retain information from a workshop, they’d need to attend it seven times. However, if you record that workshop and make it available, your team can keep referring to it until they commit it to memory. Prevent your sales knowledge solution from sitting idle by implementing a system that provides metrics and tracking to keep users re-engaged. Sales is very much a metrics-driven discipline and, if your sales team can see that your Sales Knowledge Management system is impacting their core metrics, they will be motivated to increase their engagement. For example, Gong does this really well by allowing reps to record their calls and demos and feeding insights from those conversations into their CRM. This lets the reps see how their actions are driving results in their sales metrics and entices them to keep using the platform. Drive adoption levels even further by socializing the results of all team members across the organization. Another way to drive adoption is by offering your reps information in their preferred formats. According to SiriusDecision, 66% of high-performing sales professionals prefer to learn and train at their own pace. So use a system such as Lessonly that enables your sales team to do self-directed learning on the go. However, remember that at the end of the day technology is not magic; it is there to support your people and your processes, and it won’t solve all of your problems by itself. That’s why the tip #1 is so crucial. Look for a system that gives you insights into how current the information that it contains is. For example, Loopio ranks your information based on how recently reviewed and frequently used it is to help prevent sales reps from using stale content and to make it easier to clean up your knowledge database. You shouldn’t be letting your precious sales knowledge escape into the abyss. Empower your sales reps to become more insightful and collaborative, and turn your sales organization into a revenue-generating machine with the help of Sales Knowledge Management. Make it happen by equipping them with the right tools, resources, and training and continuously improving your internal knowledge-sharing processes. There are a lot of other things you can do to make your implementation of a Sales Knowledge Management system success but these are my top five. Loopio is an RFP response solution that enables companies to capture and leverage their sales knowledge to accelerate the RFP and Security Questionnaire response process. Since 2014, Loopio has empowered hundreds of world-leading organizations, including Thomson Reuters, IBM, Netskope, Sprinklr, and Citrix. To learn more, visit www.loopio.com. Loopio is an OpenView portfolio company.